OK, so I bought a '85 Cannondale with Cyclone components. I'm hopping a set of accushift 6 speed shifters will get me clicking, (pun intended) on down the road. I've raced Cannondales quite successfully in the past with friction shifters so I'm not afraid of them but I've gotten spoiled. I've had good luck swapping gear sets with same brand components without incident so I'm optimistic. I'm sure someone has tried a similar switch so what do you think? Will just changing levers do the trick or am I sentenced to scouring the internet for a complete shifting group? If it's not index compatible, it's not index compatible, even if the brand is the same. If it was index compatible chances are it would have been equipped with index shifters. Then there's the issue of two different Suntour freewheel standards and having to get replacement freewheels. It's much easier to just redo it in Shimano (shifters, RD, chain, freewheel) or Sunrace/KMC/mix if you're feeling particularly cheap. If you want decent indexing you shouldn't skip any of those parts. What made SIS market dominant was in part due to the chain and cogs, not just that the shifters/RD were indexed. I agree, I don't think it will work acceptably. You might index two cogs. I would probably go Shimano. I have gotten non-index Shimano and even Sun Tour derailleurs to index with SIS levers, but I think Accu-Shift levers will only work with Accu-Shift derailleurs. Standard (not Ultra) 6 speed freewheels are the same spacing for both Shimano and Sun Tour. Going to an internal gear hub rear wheel , will for your post racing, transportation riding on that old bike , be practical and have click shifting..
Look up the specs for the current Sturmey Archer range and see what fits in that 126 wide frame space..
Sun tours name was resurrected , Suspension forks for OEM supply, , but the component maker is long gone..
Last edited by fietsbob; 02-18-19 at 10:09 AM. I had an old Bianchi that got hit by a car and the frame destroyed. It was a 7 speed Exage groupset. When I rebuilt it with a Nashbar frame, I had discovered indexed brifter shifting, and decided to go with it. I got a set of indexed Sora 8 speed brifters that worked very well with my 7 speed set-up. I was surprised, not being much of a mechanic, it all went together and worked very well. I just had an extra click at the bottom of the shift that went nowhere. Don't know of this is pertinent, but if you find an indexed spacing compatible gear set it should work. The cable pull of the shifter needs to match the cable pull of the derailleur to match the spacing on the freewheel/cassette. Old (pre-indexing) derailleurs may or may not match anything. Suntour's Accushift cable pull is different than Shimano's SIS indexing- on both the shifter and the derailleur. So (generally) you'll need to use SIS shifters and rear derailleurs with each other and Accushift shifters and derailleurs with each other. SIS is more forgiving of a system to work with. But Accushift works fine once you figure it out. 6 speed SIS is (effectively) the same spacing as 6 speed Accushift- so you can use a 6 SIS freewheel with a 6 speed Accushift shifter/derailleur combo. Also. remember that Suntour's "Ultra" spaced 6 speed is different than other spacing. Cannondales have somewhat "special" shifter bosses on the frame, so before you dive in too deep I recommend that you investigate what you have for shifter bosses and consider the adaptation requirements if you want to exchange the shifters. By all means post photos here if you have any questions. There was a thread not long ago regarding the reworking/refurbishing of Cannondale shifter bosses... I forget if they were failing, or the OP was trying to change to something different in the first place. Anyway, the thread had good info. I ordered the levers and checked the freewheel. The freewheel is exactly the same as a freewheel from another indexed bike. Hooray. The derailleur may or may not have consistent movement through the range of travel. If not I'll have to change to an indexed derailleur. One step at a time. As far as the bosses on a Cannondale they can be a problem because of the fatter tubes. The current spacers should solve that. My first racing bike was a Cannondale bare frame I built up with parts from other bikes. I discovered 27" wheels wouldn't work. (lol) I used the hubs and bought spokes and 700mm rims and built my wheels useing the frame and brake pads to true the wheels. Don't laugh. Those wheels ran perfectly for five years untill I sold the bike. My experience isn't identical but may be relevant in some ways. 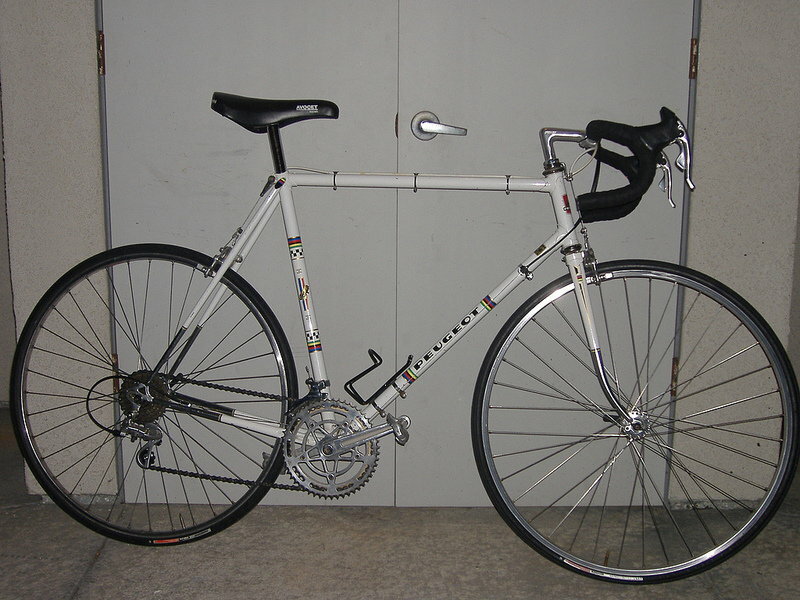 My '89 Centurion Ironman Expert came with the Suntour GPX group, including 7-speed Accushift. I had some problems with the GPX rear derailleur (turned out to be high friction in the sintered bushing bearings, solved this year with Tacx sealed bearing pulleys). So I switched to an old Shimano 600 RD for a few months. The Shimano 600 ran smoothly but was friction mode only -- it wouldn't index reliably across the entire 7 cog range. As other folks have described, most Shimano and Suntour bits aren't compatible for index shifting. The main problem with mixing components was the GPX downtube shifter levers. Yeah, there's a friction mode, but it's mediocre, an afterthought. It's designed for index shifting. There's no way to adjust it for satisfactory friction mode. If it's kept loose enough for a good feel, it'll ghost shift under pressure when I'd stand to pedal. If tightened enough to eliminate ghost shifting there was poor tactile feedback. The main problem is I needed to make some rapid shifts on an undulating roller coaster time trial segment around 6 miles long. It was very difficult to time shifts precisely due to rough pavement at the troughs and crests of some short, steep climbs where timing was critical to improving my time (I had second on Strava early last year, but slipped to 5th after a fast group blew through in the summer, darn it). The other fastest cyclists (including a couple of women pros) are using carbon bikes with brifters. Huge advantage on routes like that with lots of shifting. So this year I switched back to the GPX rear derailleur, index shifting, and replaced the jockey wheels. Shifts are crisp and positive, and I don't need to worry about hitting rough pavement in that trough between a fast downhill and approach to a short, steep climb. With friction shifting I'd occasionally blow a shift. No problems with index shifting. And the Tacx sealed bearing pulleys probably gave me another 5 watts or so -- much smoother than the crude sintered bushing bearings, run dry as recommended by Suntour or with any of various lubes I tried. I needed a little help on climbs while recovering from injuries and illness last year, so I switched from the original Suntour 13-24 freewheel to a chromed SunRace 13-25 which actually shifts and runs more smoothly than the Suntour. So it is compatible with the 7-speed Accushift. (I also switched from the 52/42 Suntour chainrings to 50/39 Vuelta SE Plus, but those aren't relevant to the index compatibility issue). When indexed shifting first came in vogue it was viewed with skepticism by Suntour and Campy. Dura Ace was taking over racing and I was unsponsored so I salvaged a Dura Ace freewheel and levers from a wrecked bike and wonder of wonders it worked perfectly with a campy derailleur! My shifters haven't arrived yet, the freewheel is now powering an indexed Nishiki, I have a nice new chain and I have my eye on a couple of decent used derailleurs just in case. This is definitely doable and is a minor and enjoyable project. I've ridden many a Suntour indexed system and found them to be just as sturdy and reliable as anyone out there contrary to popular opinion. If you want a laugh try Campys early efforts in indexing. Speaking of popular opinion, there's a consensus that Cannondales are, "rattle your teeth stiff". Maybe it is because of the big frame but I've never found them to be harsh. They allways advertised that aluminum would absorb roughness and I believe it. Very stiff and business like but never harsh. Nice to be riding an old 'Dale again. I'm not sure I can part with the Nishiki though. It's springy but not flexible. A combination that's hard to find on a big frame. Ah well, maybe I've earned the right for two sweet old roadies to match my mood. Good and bad. The bosses we're smaller on the bike than the new indexed shifters. Fortunately the housing fit completely over the original bosses and with some minor filing, since the tubes are bigger on the Dale, everything fit. The gearset had the same spacing as the indexed gearset and I changed the chain. That's it. The Cyclone derailleur stayed unchanged. 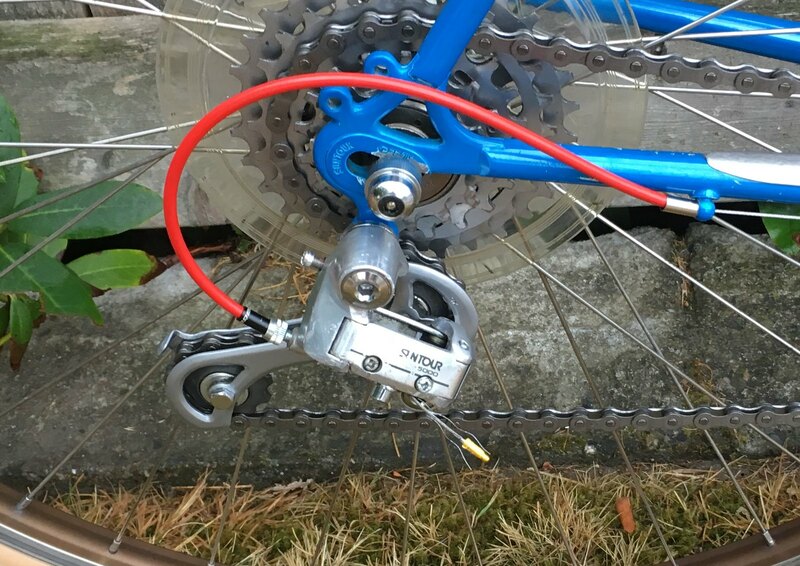 I had a couple of indexed derailleurs I had anticipating changing but the thing works perfectly as is. Not sure if I enjoy tinkering or riding more but I think it's time to just enjoy the riding. What is the difference between indexing and non-indexing derailleurs? ...but if it works, it works. This is basically what it boils down to. I've been playing around with the concept of getting an old bike (5 or 6 cogs) to work with indexed shifting for the past couple of months. More precisely: with those good-looking Campagnolo brifters. And I found that as long as the numbers add up (i.e you can get the rear derailleur to move 5.5mm each click), it'll work. Whether it will work nicely will depend on the details, such as the compression ratio of the cable housing and teeth of the cogs. In the end I got satisfying results with pre-2001 9-speed Campagolo brifters, an early Shimano SIS RD (RD-552), a KMC 8-speed chain, a Maillard 6-speed freewheel made for indexed systems, and specific (compression-less) cable housing . FWIW & YMMV. None of us can make heads or tails of those split-tip cog teeth, but if the teeth can grab the chain during shifts toward larger cogs, then indexing performance will benefit. Yes, old 9s Ergolevers index standard 6s spacing using regular Shimano derailers, I used the same setup with a 5s freewheel and that was also fine of course. 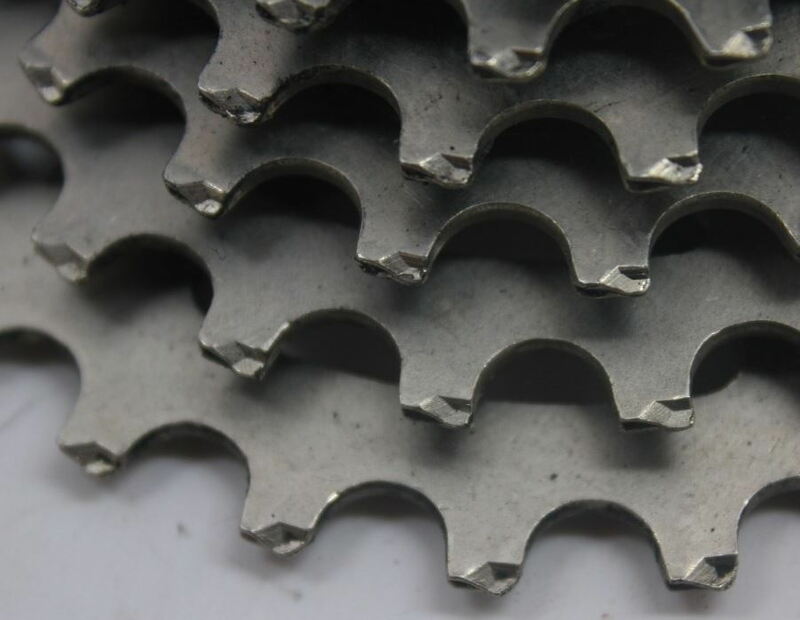 One thing that can be important when shifting while off of the saddle is for the freewheel/cassette to have HyperGlide-style cog tooth features, lest slippage of the chain during a shift result in some degree of a loss of steering control (i've seen this too many times). Hyperglide cogs very conveniently arrived just before integrated road shifters hit the scene, but were originally supplied with 7s thumb-shifter equipped mtb's. Campy quickly copied Shimano's cog features as soon as their Ergolevers were being readied for sale to the public, again in the nick of time. The OP's success with the old Suntour derailer together with Accushift levers is no surprise, since most of the old friction derailers had about the same fast action to their actuation ratio. Even an old Shimano Titlist rear derailer will index with Accushift levers or with any pre-9s Dura-Ace SIS levers. So Accushift levers or "old" Dura-Ace levers are the way to go when using an old friction derailer and freewheel/cassette with the same number of cogs as the shifter has clicks. The non-Dura-Ace SIS derailers will index with Accushift and Dura-Ace SIS levers as well, but only if the next-narrower cog spacing is used, such as using an Ultra-6 freewheel with 6s SIS or Accushift levers. One friction derailer that will never work is the Huret Allvit, which has a non-linear actuation ratio. But a Gran Turismo will index accurately (while shifting somewhat poorly) using Dura-Ace STI or Accushift levers. Lastly, some combinations benefit from the features of modern chain, while some combinations (where chain gap is very large) only work reliably with older, stiffer chain. Narrower chain can save the day when minor indexing errors exist between the derailer movement and cog spacing. The Sedisport is the only still common chain to be found that combines narrowness with relative lateral stiffness, so can still be the right chain for some indexing applications. Here's my Peugeot PX10LE from 1974/5 with it's 8s Ergolevers, a shimano rear derailer with "hubbub" cable routing and a 6s freewheel. Seems anything can be made to work! Last edited by dddd; 02-25-19 at 09:35 PM. Apparently they can and it does. The shifting is quite crisp, even compared to the HG FW I've had on the bike as well. It may not have the HG's "continuous grab" feature, but since out of the saddle shifting is not something I do regularly (if at all) that is not much of an issue for me. Nice Peugeot, BTW. Judging by the saddle position that geometry fits you well.